Can you remember how to say “sorry” in Italian? Last week, we learnt the phrase mi dispiace. But it turns out, there’s another way to say sorry in Italian, which requires a bit of explanation because there’s a crazy rule you’ll need to follow in order to use it correctly. 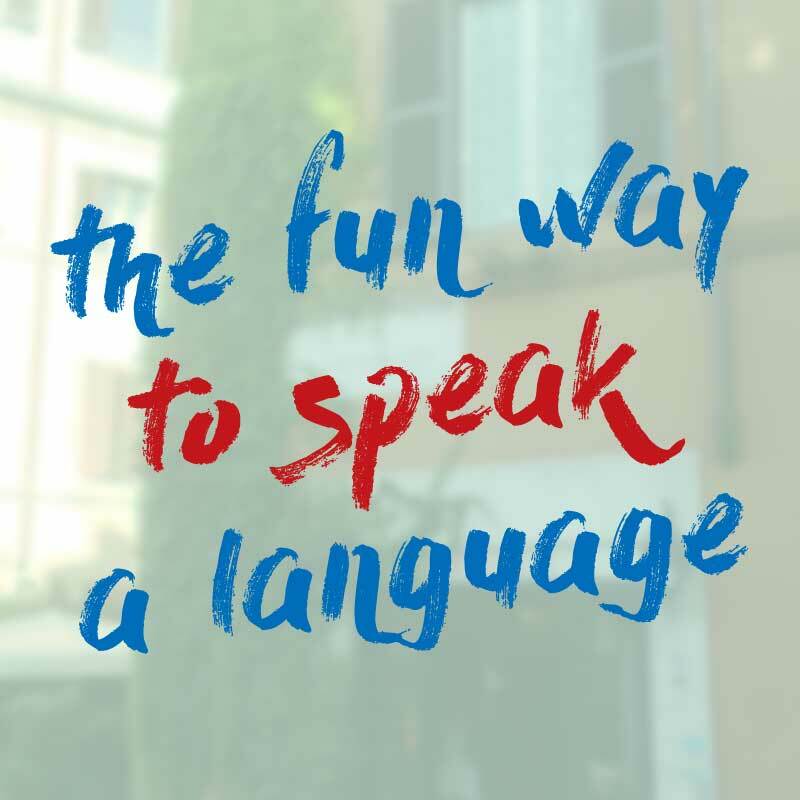 In this week’s lesson, find out the difference between “mi dispiace” and “scusa”, and learn how to use them correctly, so you can say sorry like an Italian. Quando dici “scusa”? = When do you say “excuse me”? K: Last week, we learnt how to say sorry in Italian. Can you remember how? K: In today’s lesson, we’ll continue the conversation, so you can learn another way to say sorry in Italian. K: Matteo, quando dici “mi dispiace” di solito? M: Quando non ho moneta. Oppure quando qualcuno mi racconta un accaduto triste. M: Quando spingo qualcuno per sbaglio. Oppure se faccio un rutto. K: When do you say scusa? M: Quando spingo qualcuno per sbaglio. K: When I push someone by accident. K: As well as mi dispiace, Italians have another word for sorry, which is scusa. What’s the difference? M: In many situations, they’re interchangeable. But there are a few situations where they’re not. M: Yep, we’d normally use scusa, not mi dispiace in those kinds of situations. 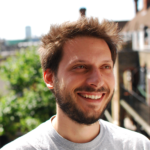 However, in longer situations, you can use mi dispiace and scusa interchangeably. K: But there’s another situation where you’d only use scusa. Let’s listen to the other example Matteo gave. K: Oppure se faccio un rutto = “or if I do a burp”. A lovely example, which, school-boy humour aside, shows another important meaning of the word scusa. M: In Italian, scusa has 2 meanings. The first is an apology, for example, if you stand on someone’s toe, or you “accidentally” eat the last biscuit. K: Interestingly, when my Italian students want to grab my attention, they often put their hand up and say sorry, because being as Italian only has one word for “sorry” and “excuse me”, they get confused about when to use which. So if you want to say either “sorry” or “excuse me” in Italian, you can say “scusa”. Now comes the tricky bit. There are actually 3 versions of the word “scusa”. M: “Scusa” is the informal version, that you can use when speaking to friends, or young-ish people in relaxed social situations. K: With older people, or in more formal situations such as at the hotel reception or in a fancy restaurant, you can use the formal version, scusi. M: Finally, if you’re speaking to a group of people, we use the “plural” you: Scusate. K: This drove me mad when I first moved to Italy, because scusa is the quick sorry, the word you use if you bump into someone or stand on their toe. And I thought, how am I supposed to decide if it’s a young person, an older person or a group, and pick the right version, all in the split second after I’ve stood on their toe? It took me a lot of practice before I got it right. M: But in reality, as long as you make an effort to say scusa, scusi, or scusate, most people will understand that you’re learning and they won’t mind if you use the wrong one. K: And with practice, it becomes automatic over time. 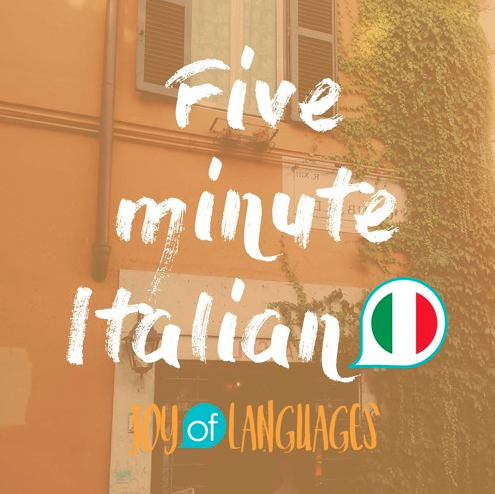 K: That’s it from us, remember that when it comes to languages, practice makes perfect, so to practice what you learnt today, you can find bonus materials like a quiz and flashcards by heading over to our website – www.joyoflanguages/italianpodcast and scrolling down to this episode. Alternatively, click on the link in the show notes to go straight there. And remember, if you’d like to get these lessons delivered to your inbox and get invites to free speaking workshops, sign up to the mailing list, you’ll also find that link in the show notes. Ciao for now, or as we say in Italian.